Studies in the books of Ezra-Nehemiah have tended to become bogged down with such questions as, "Who came first, Ezra or Nehemiah, and were they contemporaries? When did Ezra make his journey to Jerusalem, how many trips did he make, and which route did he take?" In this commentary, the author undertakes a theological reading which emphasizes its character as narrative and story. He avoids rearranging the text and, with the exception of chapter five of Nehemiah, he seeks to understand the narrative as it was received. 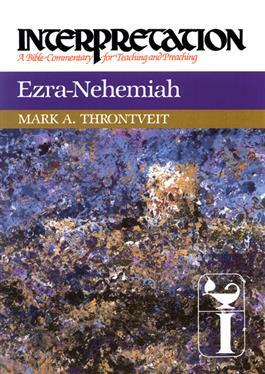 In general, Mark Throntveit avoids an overly historical approach to the text and presents a clear picture of Ezra and Nehemiah.